Although more than two decades ago, I still have flashbacks to the breakdown. Over the years I have felt inadequate to describe what it felt like as I was going through it and the aftermath. While the breakdown was a specific point in time the events leading up to it and the aftermath of years encompassed so much but included only some elusive descriptions. 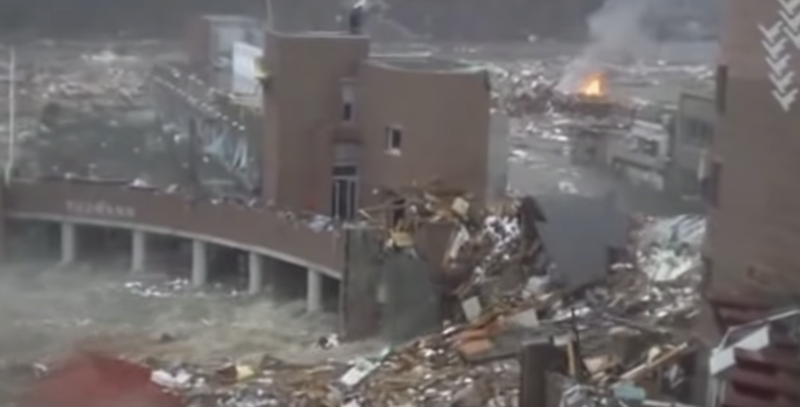 A couple days ago I came a cross a video of the 2011 Japanese earthquake and the resultant tsunami devastation. As I watched the scenes of the waters rising, and taking everything in its wake, it struck me how closely this scene described how I felt. Buildings were pulled from their moorings, being driven by forces often unseen, then collapsing at some point. That powerful flow of water took people, property, and everything else in unexpected directions. There were no straight lines in the resultant destruction. This photo illustrates my emotional sense during that time. Everything recognizable, but changing instantly. What I clung to previously was now being torn apart. That was how I felt, observing people, places, events happening around me but unable to fully grasp the significance, the reasons, the seeming incidentals were passing me by in the torrent of rain. I couldn’t focus on one thing, yet I couldn’t comprehend the full scene either. I was being tossed by events, more as an observer than a participant. I have realized over the years that I have memory gaps, especially in the 2-3 year period. But it seemed odd, because my memory had never failed that way. And yet, this video captured my sense of emotional turmoil, previously unstated, even unknown during the most turbulent storms. Recognizing, but not recognizing. Seeing but not seeing. Experiencing yet unable to comprehend. In the midst of this terrible tsunami video, I began to sense my own description of what happened to me. As I continue to reflect on this turbulent time, this video is almost comforting in a strange way. Finally something reflects my emotional devastation, helplessness, being pulled along. And throughout this time, there were some who endured my inability to communicate what I felt. For them I am grateful. They reached out with life lines and floated on some of the destroyed foundations, always encouraging and comforting even during the worst days. This video almost gives me comfort in a strange way; it helped me identify how I felt for so long. I have heard it said that until we can put a face on our pain we can never quite heal from it. Maybe the tsunami is that face for you…..and having seen the face you can more effectively deal with the aftermath.